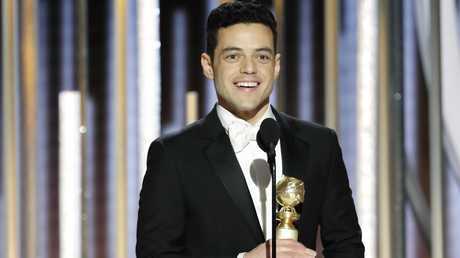 It was all going so well for Rami Malek at this year's Golden Globes. This was Malek's moment - he'd just become one of the night's big winners. 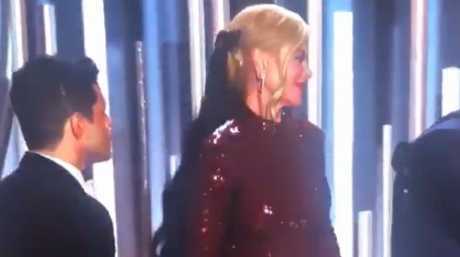 With all eyes on him, it was time to cement his friendship with Hollywood heavyweight Kidman, who he was photographed hanging out with at the AACTA International Awards just last week. Look, it's likely that Kidman just didn't realise he was trying to get her attention, but it doesn't make the exchange - he tries to talk to her twice - any less uncomfortable to witness. Fortunately, the awkward moment didn't appear to ruin the actor's night. "Thank you to Freddie Mercury, for giving me the joy of a lifetime," Malek said. "I love you, you beautiful man. This is for, and because of, you, gorgeous."